The typically trustworthy Alt-Media information portal South Front republished the claims that have been circulating for the past couple of days about a possible Russian military base in the breakaway region of Somaliland, a development that initially caught many observers off guard but is entirely explainable in hindsight if it actually comes to pass. The report alleges that Moscow has been in talks with the self-proclaimed authorities in Hargeisa to build a small multiuse air and naval facility in the Djibouti-bordering town of Zeila in exchange for formally recognizing the region’s “independence”. The UAE is already constructing its own base in Berbera despite not officially recognizing Somaliland, but the Gulf State is a rising military power with much more money to throw around than Russia and therefore probably isn’t subject to the same conditions as Moscow would be for that simple pecuniary reason. As a brief but incomplete backgrounder, Somaliland used to be a British colony that was reunited with its ethnic Somali brethren in 1960, after which it separated from “rump” Somalia following the overthrow of President Barre and the subsequent multisided civil war that engulfed the country. The de-facto government of Somaliland believes that Barre’s late Cold War-era anti-insurgency policy towards their region constituted what they’ve since termed the “Isaaq genocide” and therefore entitled them to secede for security’s sake. Whatever the legitimacy of this move, the undisputed fact is that geostrategically positioned Somaliland has remained functionally independent and largely peaceful since then, which Hargeisa insists should further its claim to international recognition of its independence. Mogadishu, however, maintains that the region should return back to its formal control, albeit in the newly implemented “federal” system that it says will prevent past abuses from reoccurring. 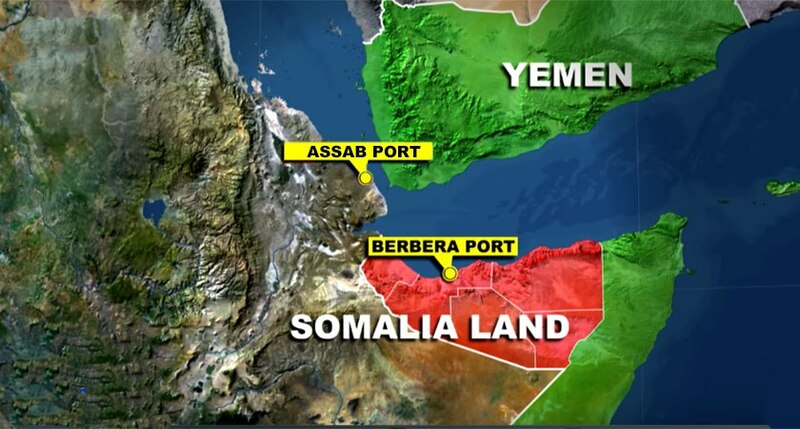 Somaliland, just like equally unrecognized but similarly sovereign South Yemen, sided with the UAE in the War on Yemen and now hosts an Emirati military facility in Berbera that Abu Dhabi plans to pair with its existing ones in Aden and the Socotra Islands to make it the “gatekeeper” of the strategic Bab el Mandeb chokepoint over EU-Chinese maritime trade. This process is occurring in parallel with the expansion of the Gulf Cold War to the Horn of Africa and the international militarization of the Red Sea in making the region one of the most conflict-prone hotspots in the world today. It’s with this context in mind that Russia might be considering a dual naval-air base in Somaliland just a few miles away from the US’ one in Djibouti, which if built would complement China’s own to the west of Camp Lemonnier in strategically “flanking” the Americans. 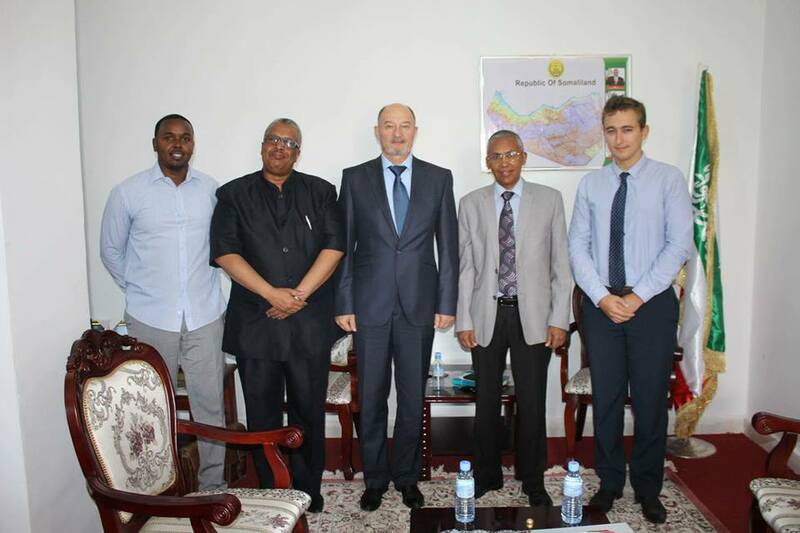 Russia’s possible base in Somaliland would be about much more than just spiting the Americans, as it would be part and parcel of Moscow’s intended “Pivot to Africa” that was hinted at during the end of last year following the country’s dispensation of military aid to the Central African Republic and offer by Sudan to set up a military facility on its Red Sea coast. Related to these two developments, there were also signs at the beginning of this year that any African Pivot could see Moscow relying more on mercenaries as the vanguard force in stabilizing conflict-torn countries and creating the conditions for Russia to “balance” intra-state and international affairs across the continent as a result. In this instance, Russia could potentially mediate between Somaliland & Somalia proper and then “balance” between both of them and their much larger landlocked neighbor of Ethiopia. In connection with this, observers should be reminded of the long-running relations between Russia and Ethiopia that laid the basis for their ongoing rapprochement following nearly three decades of neglect after the end of the Cold War. Ethiopia is China’s top partner in Africa, and the recently built Djibouti-Addis Ababa Railway (DAAR) is essentially an “African CPEC”. Given the military “overcrowding” in tiny Djibouti and the relatively long distance between Port Sudan and Ethiopia, Russia might have decided to build a base in Somaliland as a “backdoor” to Ethiopia, with whom Hargeisa is allied. Furthermore, Ethiopia’s joint development of a port in Berbera with the UAE, as well as Russia’s increasing relations with both of these emerging Great Powers, point to tacit economic-strategic motivations behind Moscow’s possible decision to build a base in nearby Zeila because it could “kill several birds with one stone” by strengthening Russia’s ties with all three parties. Nevertheless, any move in this direction would undoubtedly be seen as a “betrayal” of Somalia by its one-time Cold War patron despite Russia decisively siding with Ethiopia during the 1978-79 Ogaden War and “trading” Mogadishu for Addis Ababa at that time in unprecedentedly swapping regional allies with the US. Just like then, Neo-Realist calculations would be at the heart of this decision, albeit this time predicated on “balancing” the “19th-Century Great Power Chessboard” that’s become infinitely more complex in the emerging Multipolar World Order than during the “good ‘ole days” of bipolarity. As proof of this policy in action in an African context, one needs look no further than Russia’s new policy towards Libya that now regards Gaddafi’s overthrow as an “internal affair” despite having called attention to it as an internationally significant development in the early days of the “Arab Spring” theater-wide Color Revolution. The completely unideological and interest-driven foundations of contemporary Russian foreign policy stand in stark contrast to the dogmatic narrative spewed by Alt-Media demagogues who purport that Moscow can only countenance doing the polar opposite of whatever America’s allies are, meaning in this case that Russia “wouldn’t ever” contribute (whether deliberately or not) to Somalia’s “Balkanization” by building a base in Somaliland alongside the US’ “Little Sparta” and in close proximity to the landlocked country that used to be its regional enforcer. The times have certainly changed, proving that the New Cold War is nothing like its predecessor and that the Russian Federation of today definitely isn’t anything like the Soviet Union of the past when it comes to its foreign policy “principles”. That’s not necessarily a “bad” thing, but just a reflection of the international reality in which Russia’s forced to operate if it desires to advance its interests in the face of considerable multidimensional asymmetric American pressure. ← The oriental review:Is The US Trying To Turn Zambia Into The “African Sri Lanka”?